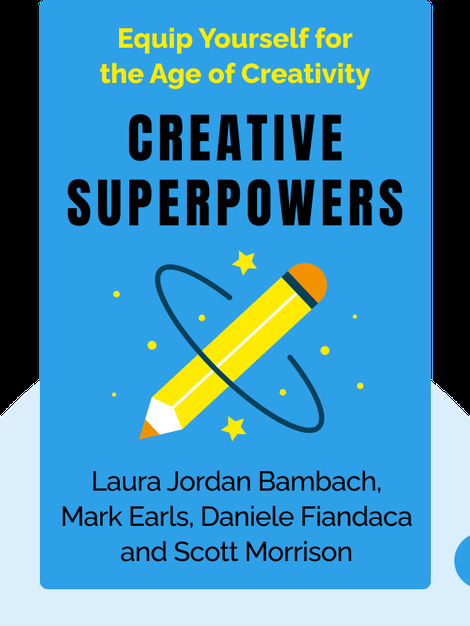 Creative Superpowers (2018) is a one-stop guide to hacking your creativity, crafted by a crack team of high-flyers who’ve put their own advice into practice. 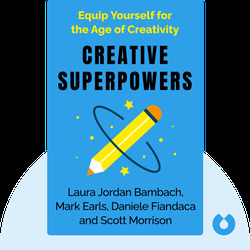 Packed with useful tips and timely insights, this is the matchbox you’ve been looking for to spark those dormant creative fires. Laura Jordan Bambach is a digital designer and the cofounder of the British feminist organization SheSays. Mark Earls is an award-winning author and sought-after marketing expert. Daniele Fiandaca cofounded the consultancy firm Utopia, a leading authority on unlocking the creative potential of companies. Scott Morrison is a marketing expert specializing in workflow and office atmosphere.